Last summer, I wrote a recap for THT of my experiences at the annual SABR Convention. In the process, I noted that my favorite presentation was one by Robert Fitts on Wally Yonamine, reputedly the Jackie Robinson of Japan, the first big American-born star to play professional baseball in Japan. Naturally, when I found out Fitts wrote a book for the University of Nebraska Press on Yonamine (titled, naturally, Wally Yonamine), I knew that was something I wanted to read. Yonamine, born and raised in Hawaii’s sugarcane fields, was the son of an immigrant from Okinawa. 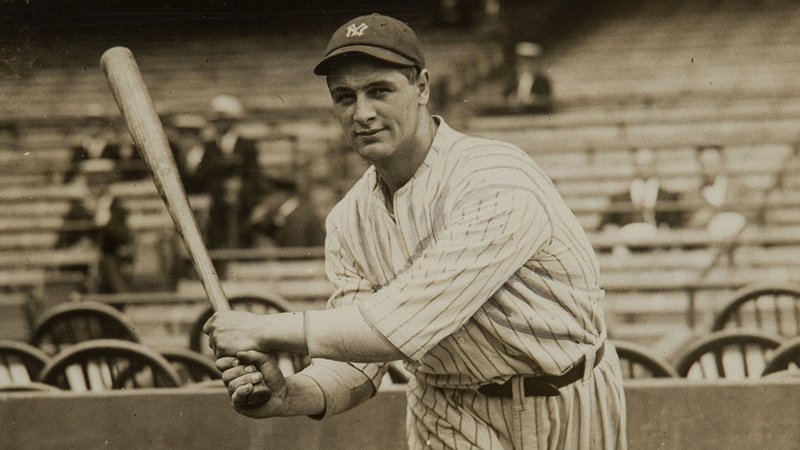 He wasn’t the first American-born player to appear in Japanese baseball. Fitts notes a few others predated him, but they either lasted such a short time no one noticed or spoke Japanese well enough to be considered Japanese. Yonamine was a starter from the beginning and the public recognized him as American-born player. In fact, he was such a standout player that he eventually won enshrinement to Japan’s baseball Hall of Fame. In many ways, Yonamine’s time there—especially his rookie season in 1951—was fascinating because not only did he play, but he helped change the way the Japanese played the game. Before Yonamine arrived, the Japanese practiced a largely deferential brand of baseball. Players were not supposed to break up double plays. Instead, they would run off to the side to give the middle infielder a clearer throw to first. Similarly, the Japanese frequently did not run out routine grounders. They rarely tried to take an extra base when the ball was in play, and often strolled to their position between innings. Yonamine practiced a rougher brand of ball, one very different from Japanese tradition. Fans sometimes berated him as a dirty player early in his career because of the more all-out style of his play. Not only was American-style baseball more aggressive but Yonamine, who briefly played football with the San Francisco 49ers before being felled by an injury, was especially aggressive. The depiction of Yonamine settling into Japanese baseball is by far the most interesting part of the book. (Not so coincidentally, it was the main focus of Fitts’s SABR presentation last summer). While reading it, I was reminded of Ruth Benedict’s classic anthropological study of Japan, The Chrysanthemum and the Sword. That book, written during World War II, provides an effective overview of the nation and its culture shortly before Yonamine’s arrival there. While an interesting and still illuminating book, it is quite a bit dated, as Japanese culture has modified quite a bit since the bad old days of the 1940s, largely due to the influence of the West and prosperity. I mention this because while reading Fitts’ book I was struck by how Yonamine played a part in this transformation. Though he didn’t revolutionize the nation as a whole, his style of play helped change the culture of Japanese baseball, making it more like the American game. In Benedict’s book, strict rules regulated behavior, as Japanese notions of proper actions based themselves on situational ethics in which you have to repay people for how they acted to you. If someone does you a favor, you owe him a debt and are expected to repay him. If a person humiliates you, it is right and proper to exact an appropriate level of revenge on him. Much of Japanese life was a struggle to avoid picking up unnecessary debts to others or to embarrass people so they wouldn’t want some form of vengeance. This cultural prerequisite diminished competitiveness overall. This explains why the players were unwilling to break up double plays challenge an outfielder’s arm for an extra base. To do so would be to invite retribution of some form (provided it was an appropriate level—unlimited revenge was not the goal; proportionality was the guideline). Later on in the book, Fitts noted that the style Yonamine helped pioneer became more widespread. His once-controversial tactics such as breaking up double plays barely caused an eyelid to flutter in the latter stages of his career. While he was not the only factor causing this change—the frequent good will trips by either Japanese teams to North America or US teams to Japan also played a role—Yonamine is a part of the story of changing Japanese baseball. Similarly, Yonamine challenged the traditional hierarchy for how rookies and established veterans interacted. Veterans were supposed to get the pick of the litter on all issues with the team. In everything ranging from batting practice to showers, veterans went first and rookies only took their turn if the vets were done. If that meant they only had cold water to bathe in or no swings, that was too bad. Again, this fit in with the traditions of Japanese culture, which was very hierarchical. One day in Yonamine’s rookie season, he desperately wanted a shower and instead of waiting, barged in to shower with the vets. No one said anything, though some clearly did not appreciate it. The point isn’t that an overnight thunderclap changed everything, or that Yonamine is the only one responsible for the changes, nor is it to deny that differences still exist, but he did play a role in redefining the experience of playing baseball in Japan. (I should note, in an effort to avoid any confusion or false impressions on the part of my readers: the heavy comparison between Benedict and Yonamine’s career is my take on it, rather than a pronounced theme in Fitts’ book. He discusses the changes, and it reminds me of what I’ve read previously). Aside from Yonamine’s rookie season, much of the rest of the book is frankly rather standard stuff. Yonamine continued to play and fared well for several seasons as he helped propel his squad (the Yomiuri Giants) to numerous pennants. Most of his years in Japanese baseball rate a chapter of their own with accounts of many of the big games and noteworthy moments, with notes on Yonamine’s family and off-field existence. That much is similar to what you would read in just about any baseball biography, except that year you’re dealing with less familiar teams and players. The more interested you are in Japanese baseball, the more you’ll get out of the book. Actually, there was one other section that caught my attention: Yonamine’s brief managerial career. Again, Yonamine went against the grain. Fitts states that he was the first manager in Japan to adopt a set starting rotation, thinking it would work better in the marathon that is a regular season. Also, while Yonamine is called the Jackie Robinson of Japan, it might work better to call him the Buck Showalter of Japan. Once, he intentionally walked a batter with the bases loaded in the ninth inning. Just as happened with Showalter, the move worked out, and Yonamine’s team won the game. Some striking things emerge in this. For one, the Japanese crowds are far rowdier than I would have imagined. Numerous baseball riots dot this book, including some with fatalities. Second, I was struck by how heavily a handful of franchisees, such as Yonamine’s Giants, dominate Japanese baseball. The same two or three teams seemed to win pennants every year. Finally, I was humored (and a little appalled) to learn the Japanese Baseball Hall of Fame exists in the basement of a stadium. I know land is scarce in Japan, but they couldn’t have given their Hall its own building? Fitts’ writing style is workmanlike. You know what he means at all times, and the topic is clear. That being said, he never blows you away with any brilliant wordplay or stunning images. The style won’t alienate the reader, but people are going to buy the book for the subject matter. Overall, I enjoyed it and found it well worth reading. The only notable quibble I’d have was that I wish Fitts spent more times on Yonamine’s early period in Japan, as that was the most fascinating thing in the book. In general, it was good. If the subject interests you, it can be worth getting a hold of. Aside from Fitts’ book, this review leaned on (obviously) Ruth Benedict’s The Chrysanthemum and the Sword.